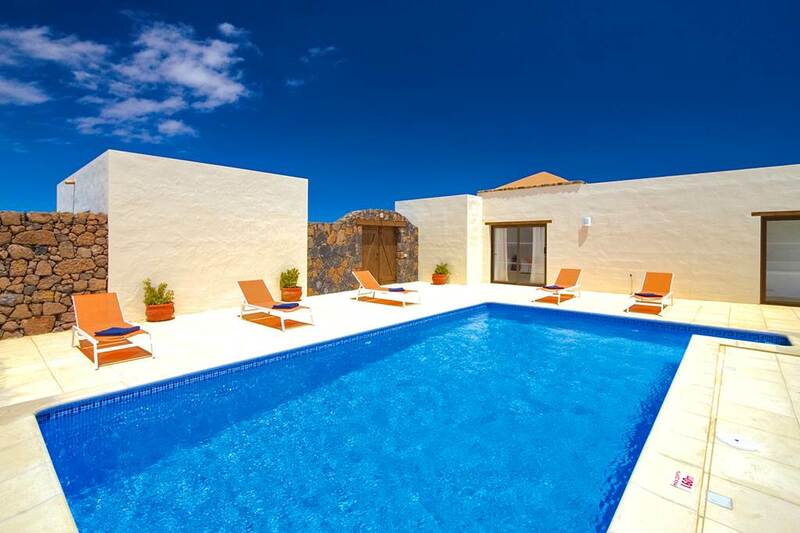 Dreaming of a place of your own in the Canary Islands? 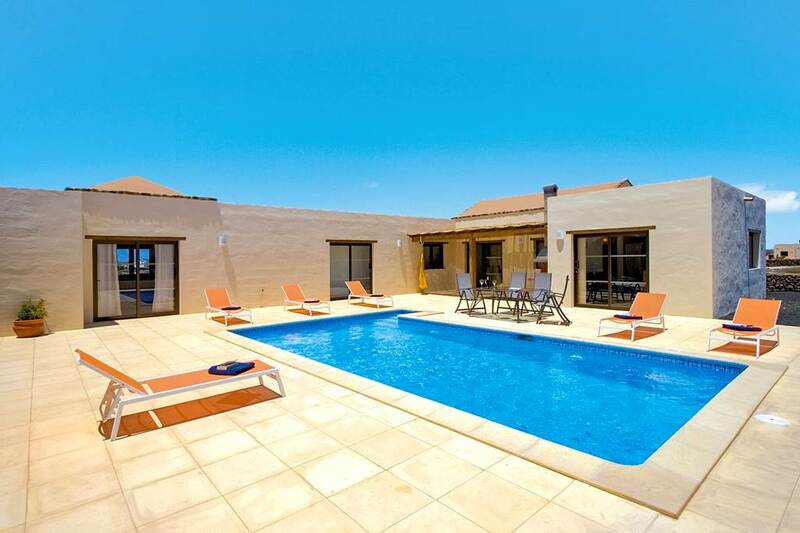 Villa de Suenos offers privacy and comfort in a modern, well-furnished setting, while still being close to the shops, bars and restaurants of Lajares. The villa’s layout features four ground-floor bedrooms arranged around a luxurious central swimming pool. There’s also an Xbox 360 and table tennis provided – perfect for games nights with friends and family. An al fresco dining area and pergola by the pool provides you with a fantastic space to relax by the pool and soak up that famous Canarian sun. What’s more, both the beach and the stunning dunes of Corralejo Natural Park are only a short drive away. If you’re holidaying with kids, they’ll love the nearby aqua park too! Wander around the town to soak up the local heritage. There’s also a trio of whitewashed buildings in the centre that consist of two stone windmills and the Chapel of St Anthony. The windmills only ceased use around 20 years ago and were vital for grinding up the region’s gofio flour. The main street has a laid-back vibe and showcases a handful of diverse shops, restaurants and edgy surf bars. A few of the bakeries are well known in the area for their delicious array of sweet tarts and homemade bread. Stop by early before they sell out!